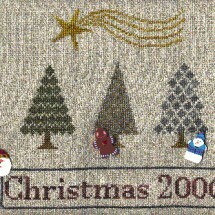 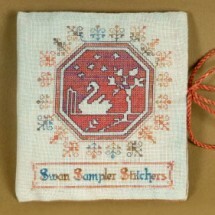 A lovely design in a Quaker style: a small squirrel is looking at the moon while leaves are falling down. 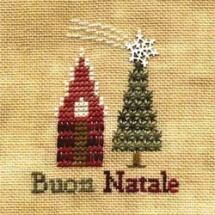 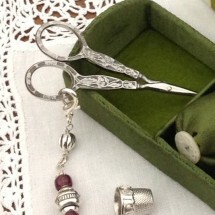 Assisi Swan Needle-Scissors Etui chart & info. 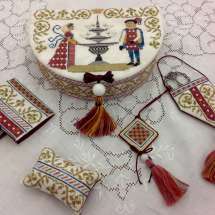 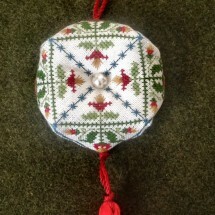 Making the risers, tray and pincushion for the trunk published on Sampler & Antique Needlework Quarterly 2014 Fall issue. 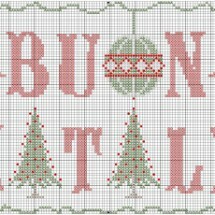 Look at the attached PDF for finishing instructions and supplies information.